Topics this week: Joaquin Phoenix as The Joker, a remake of Candyman with Jordan Peele, Kevin Hart vs Katt Williams, SiriusXM buys Pandora, Breakfast Club + album reviews for MGK, BROCKHAMPTON & Young Dolph. What it dew Trillions! 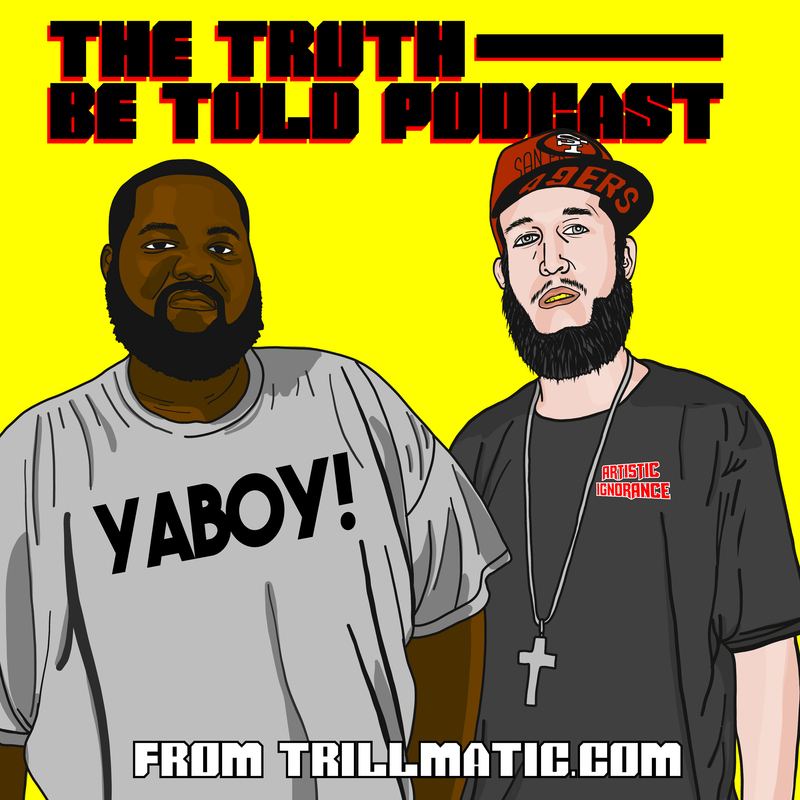 Back again with episode 133 of the Truth Be Told Podcast from Trillmatic.com hosted by Riffa & Bigg UU from Killeen. Thanks for supporting your favorite Hip Hop podcast! Be sure to leave a 5 star review! We kick this episode off with a comment from one of the Trillions out there speaking on our review of Wale. (6:37) Rihanna was recently named ambassador of Barbados and we find out Black Todd’s obsession. (10:10) Suge Knight got sentenced finally but he has nobody to blame but himself. (13:25) Joaquin Phoenix is currently filming the Joker movie and even though we’re expecting the best, we’re also preparing for the worst. (24:00) Tony Todd gave his blessing to Jordan Peele to create a remake of Candy Man. (28:05) Katt Williams and Kevin Hart got comedy beef but who’s really the funniest comedian? And where is Mike Epps ranked in all of this? (37:00) SiriusXM is buying Pandora but is it truly a good a look and a good business move for both of the companies? We also spoke about Spotify linking up with Ancestry to play music based on your DNA. (50:25) We introduce a new segment called 15 Second Reviews by Black Todd. And he reviews the new project from Young Thug. (52:10) We talk about Machine Gun Kelly’s interview on The Breakfast Club about Eminem. (1:07:15) We also talked about the full page ad that Eminem took out to answer back to all of his critics. But the main question is, why does he care what people think?